Choosing an ideal walker for seniors can be a considerable challenge due to the high number of brands available in the market today. However, if you are looking for the best narrow walkers that are perfect for small spaces, then you have come to the right place. 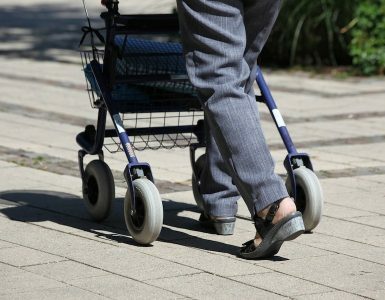 Narrow walkers for seniors with small spaces offer greater benefits as compared to standard walkers as it allows the users to maneuver through small spaces easily. This makes them suitable for people with a balance problem and the elderly who find it hard to navigate around constrained spaces and walk through cramped doorways or other areas with limited space. What are the Advantages of Narrow Walkers for small spaces? Narrow walkers for seniors are petite walkers that are deliberately designed to help the elderly and people recovering from injuries to maneuver through narrow areas. Therefore, narrow walkers are meant for individuals who need to negotiate small entrances, steps, and walkways frequently as well as other areas that cannot be accessed with larger walkers. This means that their main aim is to ensure that these people are able to move about without hassling. Besides, narrow walkers are ideal for people living in rooms with a tight space perhaps in rooms with lots of furniture or small rooms ( A pop up trundle bed can help to save space!). In such cases, fitting a larger walker can be a huge challenge unless you embark on getting rid of some items to decongest the room. However, finding compact walkers offers a simpler alternative and allows you to forget all the struggles of walking through constrained areas. Narrow walkers for seniors are also suitable for individuals who are shorter as they are comfortable to use, unlike standard walkers that may cause pain. These walkers ensure that your arms are well positioned and prevent you from bending too much. Therefore, it is advisable to consider slim walkers for adults during your search for the right walkers for seniors that suits your mobility needs and is perfect for your medical conditions. Narrow walkers are pint-sized, which allows the users to negotiate little spaces with ease as compared to standard walkers. As mentioned above, narrow walkers are more comfortable as compared to standard walkers as they ensure that your arms are positioned properly. Besides, the best narrow walkers move lightly and are easily adjustable, which allows it to serve individuals with various heights. These walkers take less storage space as they are small sized and since most of them can be folded. This makes them convenient to store as compared to standard walkers. Unlike standard walkers, narrow walkers are also perfect for shorter individuals as they prevent them from bending too much. Well, nothing is perfect. Here are some of the things that we dislike about narrow walkers for adults. Slim walkers for seniors tend to have a reduced weight capacity as compared to standard walkers. They are not suitable for larger people as they are narrower and thus it would be a huge hassle for such individuals to fit between the handles. The Winnie Lite Supreme slim walker by the Drive Medical is our top pick for the best narrow walker for seniors. The three-wheel rollator comes with several great features that come in handy when it comes to enhancing the mobility of the elderly or people recovering injuries. With the attractive tan finish, the Drive Medical Winnie Lite Supreme is one of the stylish but yet reliable narrow walkers for small spaces and seniors available in the market today. The walker is lightweight, which makes it ideal for elderly people who usually have a weaker grip or people with injuries. Thus, it is easy to lift it while walking or when loading it into the car. Besides, the Winnie Lite Supreme rollator features three solid 7.5 inches wheels that make it perfect for both indoor and outdoor use as they can ensure a comfortable ride over a wide range of surfaces. Moreover, the Drive Medical Rollator includes a standard carry pouch that allows you to ferry your items easily and securely. It also comes with adjustable handles, brakes and unique loop locks that enhance user’s experience while also ensuring safety, especially while walking on a steep or inclined surface. This rolling walker is our alternative pick for those who might not like our first pick for one reason or the other. The Nova GetGo walker is perfect for petite users as it allows for proper positioning of your arms. Moreover, the handle height is adjustable from 29” to 33.25”, comes with a convenient width between the handle that allows to you fit as well as walk through small spaces. The Nova GetGo Petite Walker comes with a 22” slim frame that is ideal for negotiating through smaller doorways and staircases. With the sturdy construction, the narrow walker has the ability to withstand the weight of most users when walking as it supports up to 300 pounds. In addition, the rolling walker by Nova comes with a standard feather touch locking hand brakes. These are designed for optimum control and comfort of the while walking. This makes them suitable for the elderly and people with injuries as compared to standard walkers that are less responsive. Moreover, the rolling walker comes with a patent lock n’ load features that put the walker in a folding position for easier loading into a car or store. Finally, the slim walker comes with a padded seat that includes an under seat pouch. This allows you to store and transport your personal items safely and conveniently enhance your independence. It features four 6-inches wheels that allow it to ride smoothly over most surfaces. Able Life Travel Walker for seniors is one of lightest walkers available in the market that also folds easily. The walker weighs about 7.5 lb and folds into a 7-inch package that makes it ideal for traveling as it takes up less space. Moreover, the narrow walker for seniors features an attractive design that is specially designed for easier packing into the trunk of the car. It is available in three different color choices, which helps suit different user preferences. With the lightweight construction, the Able Life Space Savor walker is easy to store and is also one of the most portable walkers that you will ever find. The narrow walker for seniors supports up to 400 lb though it tends to be a little unstable when used by adults with bigger weights. Therefore, even though the walker has a higher rating in terms of the weight it can support, putting much weight on the handle might make it feel insecure. 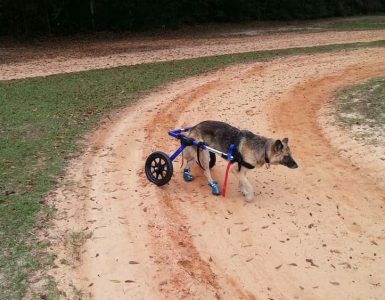 The product is designed with fixed wheels, but it allows you to request for swivel wheels if need be. Swivel wheels enhance the flexibility of the walker and thus make it easier for it to maneuver in anything, unlike fixed wheels that only allows for only straight direction. Therefore, it is advisable to request for swivel wheels as they can greatly help solve maneuverability problem is the major cause of concern among some users. This walker is another top quality product from Drive Medical that also offers great features that come in handy in improving the mobility and independence of the seniors. The Drive Medical Folding Universal Walker is an ideal choice for people who want to upgrade from standard walkers and those that want something that stands out. Besides, the product has been designed with the safety measures in mind unlike some of the standard walkers that can easily tip over. This makes it one of the few narrow walkers for seniors that prioritize the safety and the experience of the users. The Drive Medical Folding Universal features a sturdy construction that consists of an aluminum frame, holds strong under pressure. This explains why it is the most popular walker among seniors. Furthermore, the product is ultra-light, as it weighs approximately 1.6 lb, which makes it suitable for elderly and people recovering from injuries. It also features a great design that allows the legs to fold to enable the entire walker to fit into a pouch and thus can be placed in a suitcase. Therefore, the product has been specially designed for frequent travelers and is also perfect for indoor use or outdoor places with even surfaces. For people using this standard walker, a walker tray and a walker bag would be a good walker accessory to buy. The Stander EZ Fold-N-G is another ultimate choice for seniors who are frequent travelers or with small spaces. This portable product will keep you safe and active regardless of the place you decide to go. Therefore, the narrow walker is ideal for traveling eating out, shopping and maneuvering through small spaces around the house. It is available in three modern color options and thus satisfies the tastes of many users. Despite it being ultra-portable, the walker is absolutely sturdy and strong to withstand the weight of most seniors. The walking aid weighs approximately 8 pounds and folds into 18-inch, which makes it easy to lift and store. Besides, the height of this walker is easily adjustable at the handles, which allows it to accommodate users with different heights. Finally, the walking aid is easy to use and offers great maneuverability as it comes with 6 swivel wheels. It is also attractive and fashionable with optional pouches. The Drive Medical Adjustable walker could be the perfect solution for you if you are looking for a convenient and safe product to help improve your daily mobility. With the improved wheels, the walking aid is superior to most walkers in the market as they eliminate the need of having to lift the walker while walking. These wheels allow you to walk with a smooth and easy gait. Therefore, the rollators are ideal for traveling on outdoor and uneven terrain, which makes them an excellent choice for your busy and active lifestyle. It comes with a built-in seat that ensures that you have a comfortable and convenient place to rest, which enhances user experience. This explains why it is among the best narrow walker for seniors that you should consider if you are looking for a comfortable and reliable product. Besides, it is only 22″ wide. Overall, choosing the best narrow walker for seniors with small spaces is very important, especially if you or your loved ones with mobility issues have to negotiate through constrained areas. Most of the top-rated slim walkers are specially designed in a way that enables them to maneuver even through tight spots. Besides, these walking aids are ideal for shorter people as they come with adjustable heights and also are easy to lift. 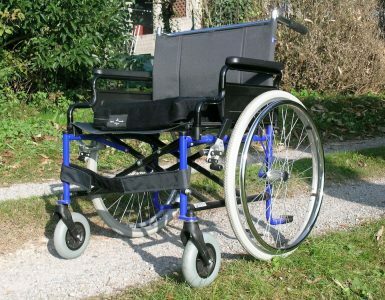 They also take less storage space as they are slim and have a great folding ability （See also folding power wheelchair). However, there are many options available, but we believe that our review and buyer’s guide provides all the necessary information that you need to find the right product. 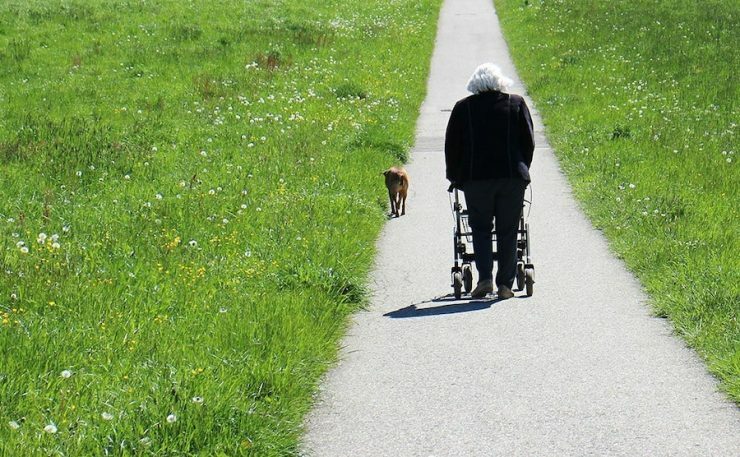 Finding the best narrow walkers for seniors such as the ones on our list gives independence and life back to people with injuries or the elderly. Click to check other types of walkers.